Immediate and proper action in an emergency can be the difference between blindness and saving someone’s sight. Of course the best medicine is prevention and with some planning and proper equipment, most injuries can be avoided. Chemical injury to the eyes is a common cause of serious injury in children and adults. Household cleaners, paint thinner, Drano, and bleach are especially dangerous. Immediate in-home treatment is critical to save vision. The moment a chemical contacts the eye it begins to “burn” its way into the eye. The longer the chemical remains in the eye without being washed out, the deeper the burn. Immediate and thorough irrigation of the eyes can make the difference between vision and blindness. The affected eye should be held open and irrigated with water under low pressure for at least 10 minutes (a sink faucet or hose without a spray nozzle should be used under low to medium pressure). A bottle of saline solution does not adequately rinse the eye. After the eyes have been irrigated at home, proceed directly to the closest emergency room. Do not drive to your eye doctor or primary care doctor, as they are not equipped for this type of emergency. When you reach the emergency room the eyes will be immediately rinsed with bags of saline solution until the acidity in the eye is neutralized and an antibiotic eye ointment will be prescribed, and a consultation with an ophthalmologist is necessary The emergency room doctors and ophthalmologist will help save vision to the best of their ability. However, success relies heavily on the immediate rinsing of the injured eye(s) at home. If a particle falls in the eye under low pressure, it can often be rinsed out by using a bottle of eye wash saline solution. Hold down the lower lid while gently irrigating with the saline solution. If the particle is wedged under the upper lid you can often free the particle by pulling outwardly on the upper eyelashes while pushing downwardly on the skin of the upper eyelid. Particles may still be in the eye or injury to the eye may have occurred. If the eye hurts or the vision is blurry after rinsing the eye, you should visit your eye doctor, pediatrician, or emergency room. When metal flies into the eye while using tools, chances are good that the metal particle has penetrated into the eye. Do not attempt to remove or rinse out the metal from the eye. Cover the eye with eye glasses or a shield and proceed directly to your eye doctor or emergency room. Safety glasses should be worn at all times when working with tools to prevent this type of injury. The eye can be scratched by a fingernail or other sharp object. The eyes hurt badly when a scratch occurs and makes it difficult to open the eyes. This type of injury is usually not serious but can be quite painful. 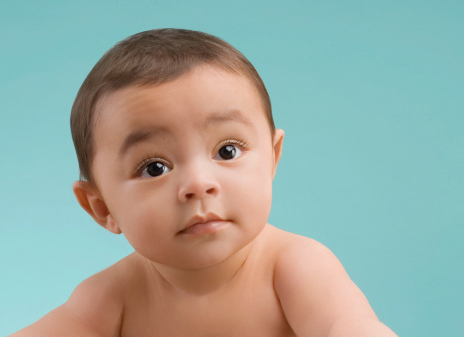 A visit to your pediatrician or eye doctor is necessary to examine the eyes and prescribe antibiotics. 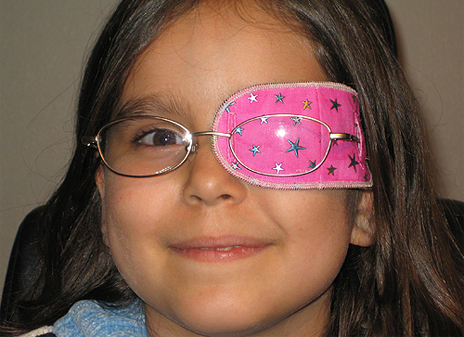 Your doctor may patch the eye to soothe it and aid in healing when a large scratch is present. Rarely, a scratch can precipitate a serious infection. Follow-up appointments with your doctor are important to make sure the eye is healing properly and without infection. If the eye is struck with a fist, baseball, or other blunt object, injury may occur to the eyeball or the facial bones. Blunt trauma can cause serious bleeding inside the front of the eyeball. Other times the injury is to the back of the eye, causing a retinal detachment. The facial bones around the eye are thin and quite fragile and can be easily broken with blunt trauma near the eye and the eye muscles can be injured causing misalignment of the eyes and double vision. If any significant blunt trauma occurs, the eyes should be covered with glasses or a shield and you should proceed directly to the emergency room. At the emergency room the eyes will be examined for injury, and x-rays may be taken to check for bone fractures. Proper safety glasses during sports can prevent this type of injury. 90% of all eye injuries from sports are preventable. 71% of sports-related eye injuries occur in individuals under 25 years of age. Baseball and basketball are associated with the most eye injuries. Properly fitted, appropriate eye protection has been found to reduce the risk of significant eye injury by more than 90%. 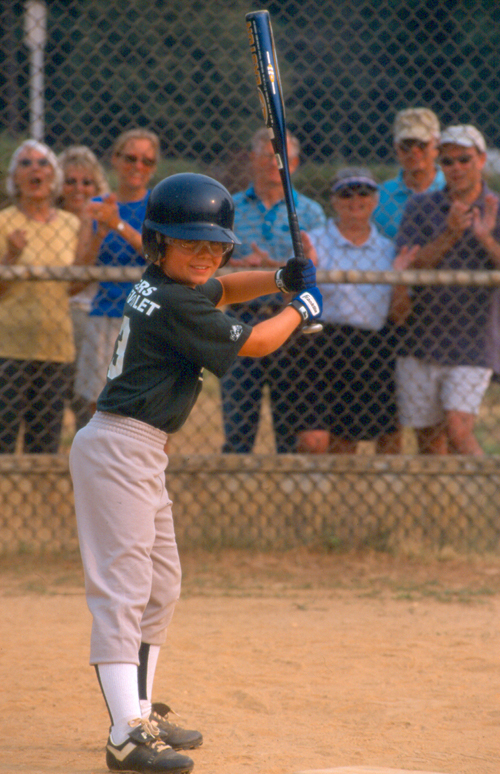 Polycarbonate eyewear prescription lenses should be worn when participating in baseball and racquet sports. Polycarbonate lenses can withstand a squash or racquetball force of 90 miles per hour. Polycarbonate is available in prescription and non prescription eyewear for sports such as baseball, squash and badminton. Eye protectors that meet the American Standards for Testing and Materials (ASTM) are best. 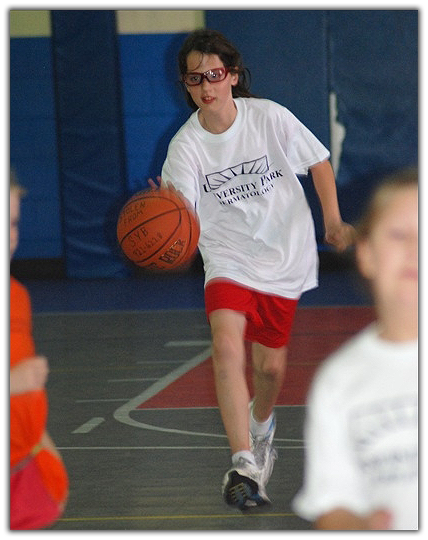 Prescription street-wear glasses and contact lenses will not protect the eye from injuries in sports. Regular eyeglasses made of glass or plastic are not designed to withstand the energy levels of flying balls, pucks, or elbows. Hard contact lenses may shatter on impact and cause a scratch on the cornea or a full laceration of the eye. A soft contact lens will not cause significant injury but it will not protect the eye from impact. 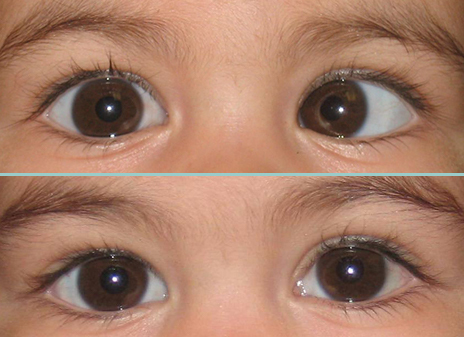 This article was written by Dr. Scott Silverman, our fellowship-trained Pediatric Ophthalmologist. Dr. Silverman is available at our locations in Sarasota and Lakewood Ranch, Florida. He specializes in children’s eye care, strabismus, amblyopia (lazy eye), and eye muscle surgery in children and adults.